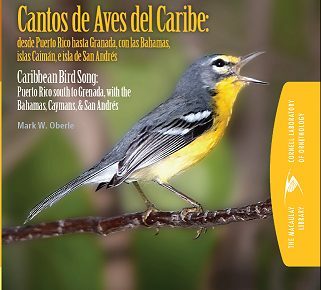 Now available: Puerto Rico and the Virgin Islands' first book to illustrate in color photographs all breeding birds and regular migrants. 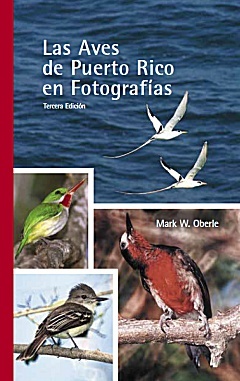 Over 400 color photos of 191 species of Puerto Rican and Virgin Islands birds are included. The English text is designed for students, teachers, tourists, and anyone who wants to understand the islands' natural heritage by learning about its fascinating birds. The species' life histories are written in a non-technical style for the general reader, and include important lessons for conservation of our natural resources. 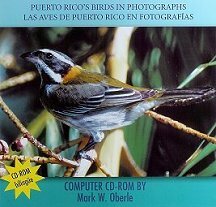 Comes with a CD-ROM with Spanish and English life history accounts, photos and audio clips of all Puerto Rican and Virgin Islands birds. 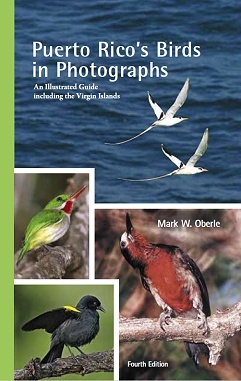 Most common birds of the Lesser Antilles are also illustrated. Over 400 species, plus detailed bibliography and over 2,900 photos. Translation by José Placer. The CD-ROM is written in HTML, for PC and Apple computers, and allows easy use for student projects in biology, music, and art. Over 100 professional and amateur ornithologists collaborated in this effort.